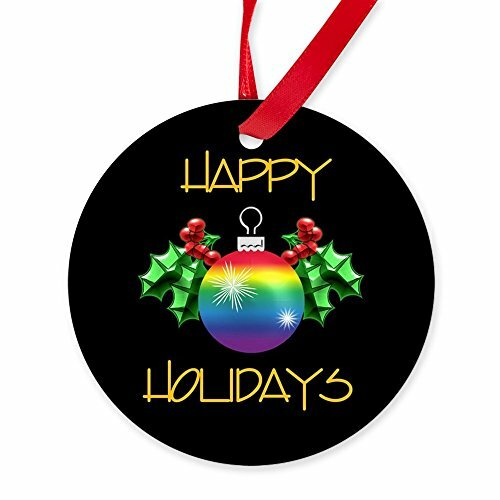 All the colors of the rainbow are represented in these festive ornaments; and so they should be! Trees, ornaments, lights and wreaths, all carrying the freedom hues, are laid out here for your perusal. Gay Pride and equality is all very lovely, but more importantly, it looks absolutely amazing! Time to add a little sparkle. Or why you would even want to have this bedecked all over your halls at Christmas time. 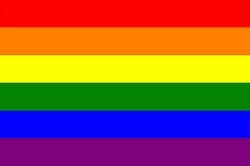 In 1978, San Francisco artist Gilbert Baker designed the Freedom Flag. Always flown with the red at the top (or left hand side, if vertical), the flag celebrates diversity in all its forms. Everything within it is equal, merging into one. Baker chose a rainbow because it occurs in nature; and it places all hues in perfect harmony. A generation of LGBT people have made the Freedom Flag their own. All over the world, through the work of Gay Pride, onlookers link this rainbow with them. It's tribal. It's about self-identity. It's about taking your place in nature and not letting anyone play God with what is. In many countries, it still remains the banner under which people fight for their civil rights. Yet they're also looking at the bigger picture of equality. Red isn't better than orange. Neither take precedence over purple. However nature made us fits brilliantly into the whole ensemble. Like a rainbow; like the world should be. And what better Christmas message than that? Peace and goodwill to all. 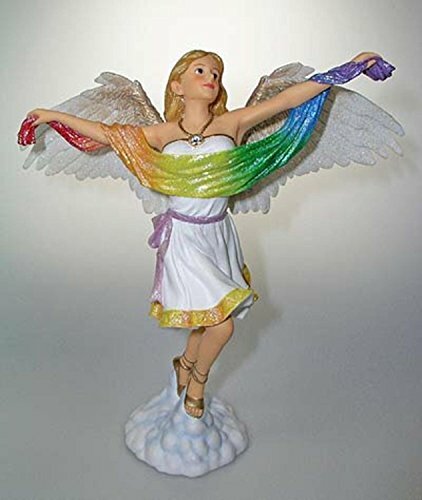 This six inch resin figurine will look amazing on your Christmas Tree, waving her rainbow flag beneath a beatific smile. December Diamonds designed this angel for Gay Pride. The message is 'Embrace Diversity'. The Freedom Flag itself is covered in glitter, which will make it sparkle when the fairy lights are switched on. What's more, the Angel of Gay Pride arrives in a bespoke gift box. This decoration could double as a present for somebody. 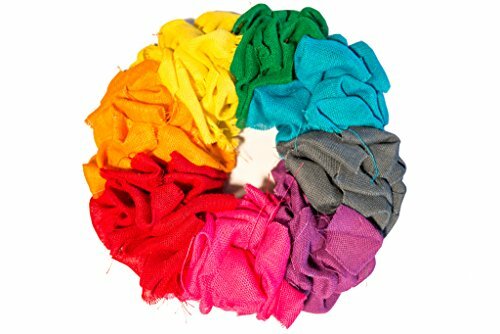 Burlap Christmas Gay Pride wreath to display on walls or hang it in your porch. I'm fully aware that this Christmas Rainbow wreath - for which read 'Gay Pride Christmas Wreath' - doesn't look particularly multicolored in the picture. Nevertheless, it most definitely arrives in the full rainbow array. It's just that the promotion person messed up. 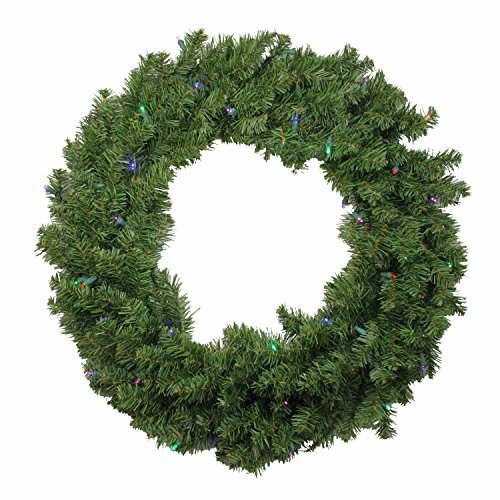 Every Christmas Pride wreath is unique. The fact that they are hand-made - in Virginia, USA - confers that distinction. They are up to eight foot tall and full of color. No visitor to your home will be able to miss this one! And you can use it again every Christmas. Bargain! 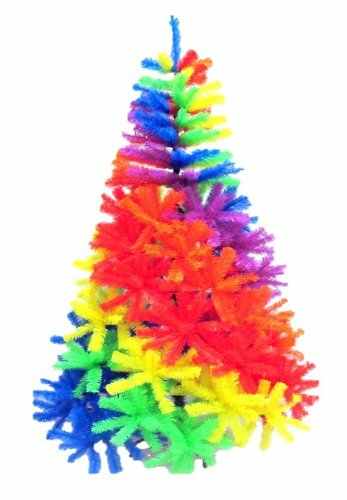 These rainbow trees are the perfect addition to a gay home at Christmas. At least for those who want to make the maximum statement, with the minimum of effort. 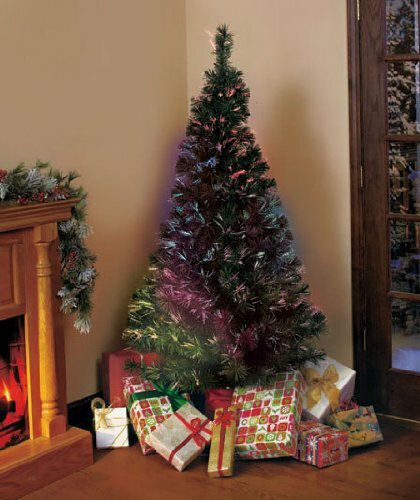 Both artificial Christmas trees radiate color. Anyone walking through the doorway will be instantly drawn to look at it. 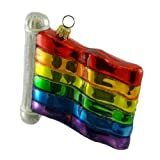 The first practically defines vibrant, with its branches tie-dyed into the Gay Pride colors. The second (pictured below) comes ready to display. 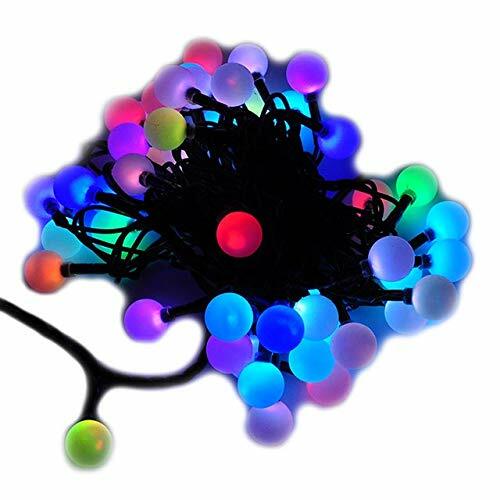 Its branches are filled with fiber optic lights, which run through the rainbow from red to blue. You just have to take it out of the box, set it up, then bask in the glory of a job well done. Maybe award yourself a sherry or two, with a mince pie. After the festive season is over, you pop it back into the box and squirrel it away until next year. Adding yet more decorations to it might be a little much. But give it a try and see what you think! As for the rest of you, opting for more traditional trees, there's no reason why they can't be decorated with Pride. Just look what we have for you here. 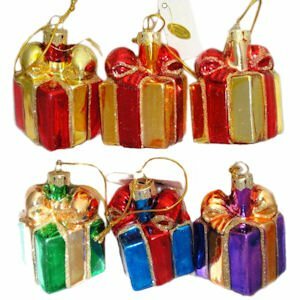 Buy your balls in rainbow colors to deck out your tree in style. They are 2" in diameter and come in packs of six. Those in the know will flash a wink at the color scheme. Dear old granny would be none the wiser. 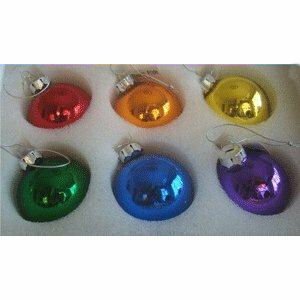 These Rainbow Christmas Tree Baubles are resplendent with Gay Pride. Red, orange, yellow, green, blue and purple line your flags at the grand parades, so why not your boughs too? 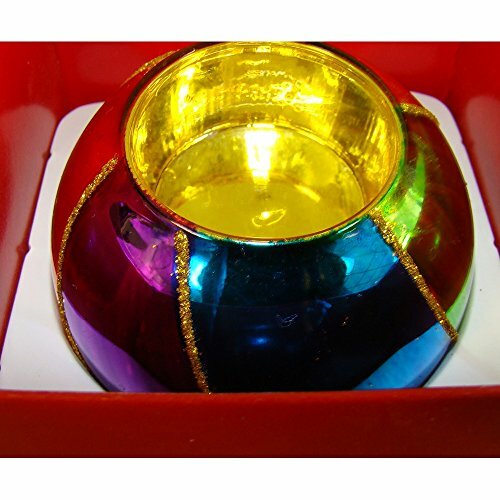 The shiny pretties are made from mercury glass. Each one is two inches in diameter. Just like any other Christmas balls really. The catch-line is 'made for gays by gays'. 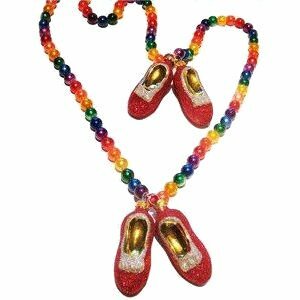 They're created by the Gay Rainbow Sisters; and there's more than that in their Emporium. 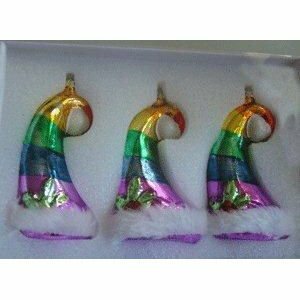 These aren't listed as Pride ornaments, but they are resplendent in rainbow hues, which is nearly the same thing. Proving that US companies don't have the monopoly on gloriously multicolored festive ornaments for gay homes, check out this rainbow glitter ball bauble. It's just one item in the Christmas Time UK collection and there's plenty more where that came from. The company have everything from lights to streamers, Nativity scenes to wire butterflies, circus picks, rosettes, garlands, bunting, trees... actually it would probably be easier to mention what they don't have. Though, after much searching on their website, I'm struggling to find anything missing. He is one of the best known names in holiday ornaments, and always with an eye on the prevailing zeitgeist. Kurt Adler appears to have an instinct for the fashionable needs of the American people, particularly as regards their festive colors. In the 1950s, he recognized that classy homes looked for European designs in their Christmas decorations, so he imported exquisite glass ornaments from East and West Germany, as well as Czechoslovakia. That's how he made his name and fortune. By the 1970s, it was all about colorful stripes. His best sellers were ornaments which matched the multicolored scarves that everyone was wearing. Just another example of Adler having his pulse on the mindset of society. 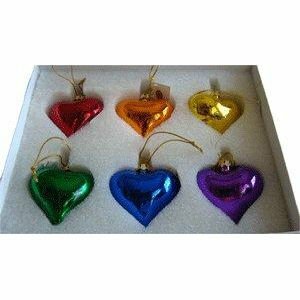 So when he began including Gay Pride Christmas ornaments in his stock, you can be certain that this was the American zeitgeist. In a very subtle way, it meant that the Gay Rights Movement had made it. Kurt Adler's Rainbow Pride flag is featured above. 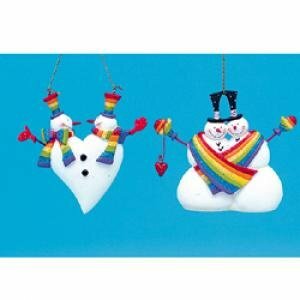 Left is a couple of Gay Pride snowmen Christmas decorations. 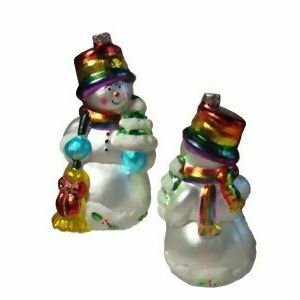 And by 'a couple', I mean both in the twin set AND the fact that they depict a gay snowmen couple in winter. 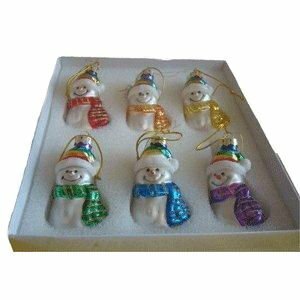 Club Pack of 12 Gay Pride Rainbow Themed Snowmen Christmas Ornaments 4"
Another big name in Christmas decor, Christopher Radko's Gay Pride Heart is increasingly difficult to acquire. 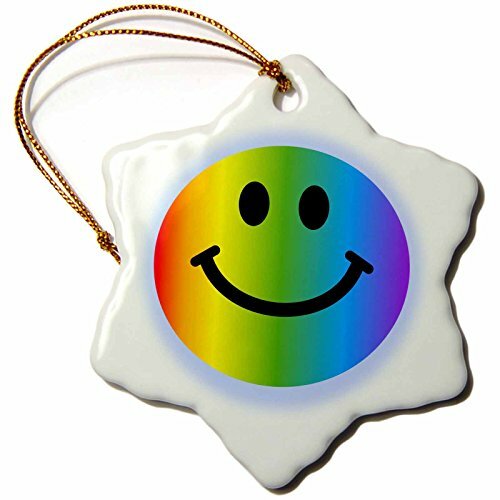 It was originally featured in this collection of rainbow ornaments, then removed when it became unavailable last year. 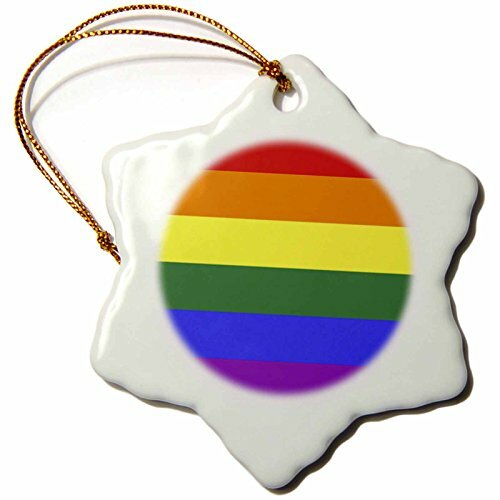 Now I've returned it to the Gay Pride Christmas collection, as a private trader has put one back onto the market. I anticipate that Radko's exquisitely crafted inclusive piece will disappear from sale again very soon. Basically, grab it while you can! No Christmas home is complete without the proper lighting. Daylight and normal light-bulbs are for summer. This is Midwinter and we want a riot of color! Dimmed lamps, a roaring fire (or the appropriate equivalent), string lights flashing on the tree and perfectly placed glows on windowsills and mantelpieces. Naturally this can be done with Gay Pride in mind. Rainbows were meant for Christmas! They're bright, colorful and natural. Exactly what you need when the dark days are dismal outside your window. A lovely bit of ambient lighting is the key here. 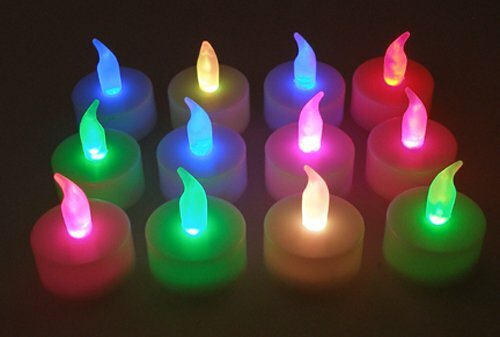 These flameless LED tea-lights cycle through the seven colors of the rainbow. Ok, in an ideal world, we'd be looking for only six colors here: red, orange, yellow, green, blue, purple. 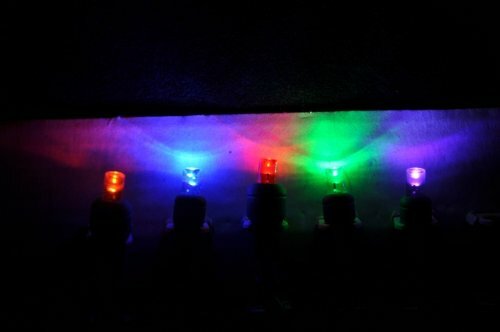 Unfortunately, nobody appears to have made lights like that yet. Watch this space, because I will be keeping my eye out for one. Someone's bound to notice the empty niche in the market eventually. In the meanwhile, the emphasis here is on rainbow in the multi-colored sense, rather than the Freedom Flag one. There are plenty of those! 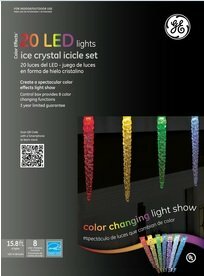 Outdoor lights, indoor lights, solar powered, plug in the wall, glorious blaze of technicolor, or boutique splash of rainbow. Take your pick. 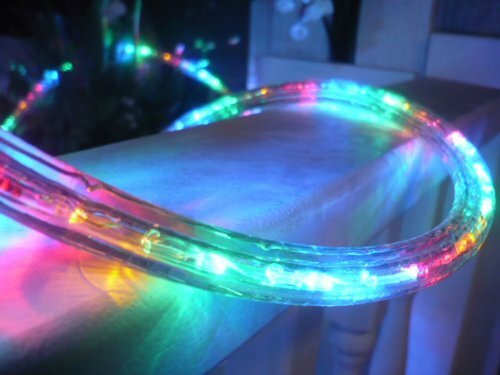 There's something here for every taste in Gay Pride Christmas lighting. Take your pick from this glowing array of illuminations. 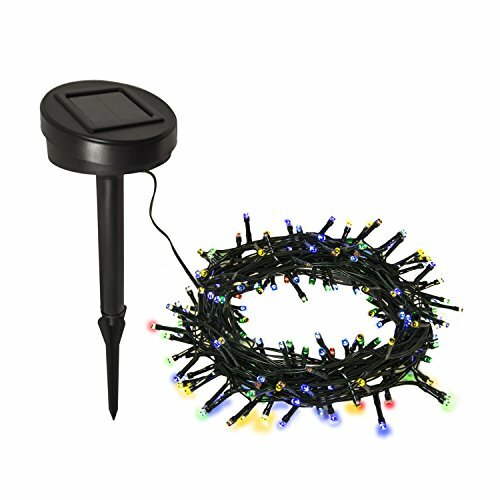 Your home will really stand out in the community, full of bright Christmas cheer. 'Tis the season to be jolly. Tra-la-la-la! I hope that you found something perfect for your home. Have a great festive time; and happy returns from all of us at Wizzley! 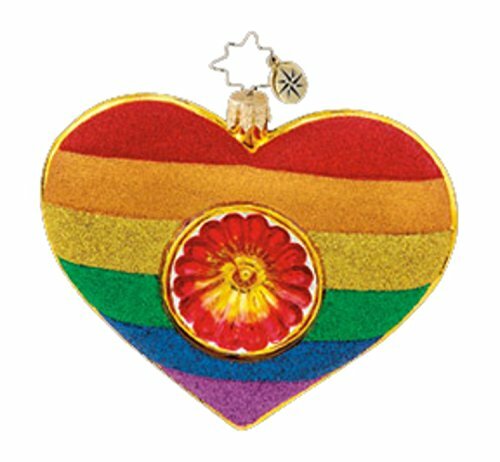 Check out these Christmas ornaments, especially created for gay men and women. The festive season is upon us again. It's time to deck the halls with jolly, bright and, above all, gay decorations! The festive season is here again! This collection is for ladies, who take Pride in their Christmas decorations. The wedding cake has gone and the photos are framed. Now you're putting up your tinsel together for the first time as a married couple. How about a decoration to mark the occasion? Yule is a time for family and friends, feasting, talking, relaxing and sharing. It is also an opportunity for self-reflection and repose. I think they would rejoice at the rainbow-y tree goodness. It's a pretty fascinating flag! I love that it's about all diversity and about nature too. 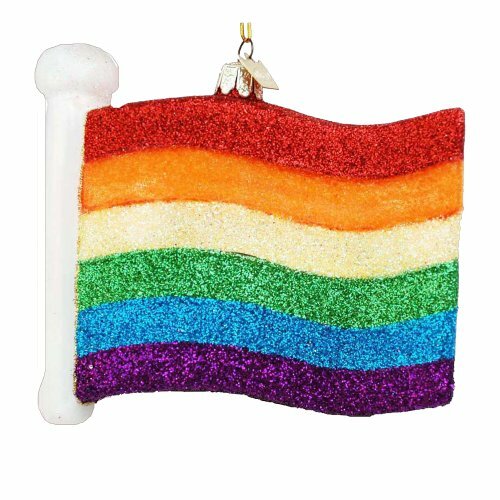 Also, it is kind of obvious now that I realize it, but rainbow Christmas ornaments are kind of brilliant, I love it!